The Perfect alternative to timber fencing: no painting, no termites, no gaps and no worries. Colorbond is a Powdercoated, double sided steel fencing that comes in heights of 1200, 1500, 1800 and 2100mm. You can option the fence with 300mm strips of Lattice or Ball Top post caps too. 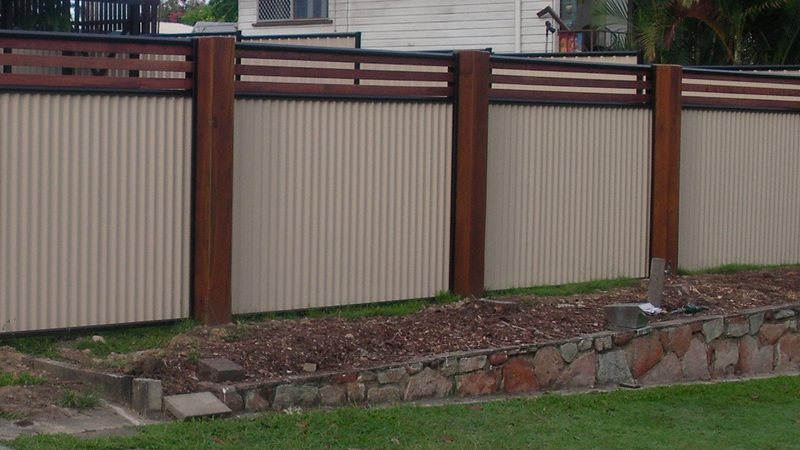 Our Colorbond fencing in Brisbane has a huge range of colours which you can choose individually for sheets or rails, as well as FenceCo also being able to make custom gates to suit your application. Colorbond is usually built in ground but can be flanged and bolted down to concrete as required. You’ll love the fence that termites hate. Contact us for an obligation free quote.